Graphite is the new black, at least at GMC. 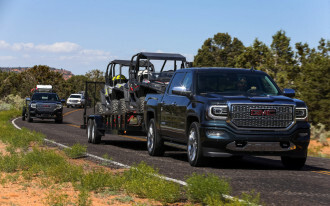 On Monday, the truck maker revealed its 2019 GMC Yukon Graphite Edition and Graphite Performance Edition packages that follow in the footsteps of the 2018 Chevrolet Tahoe Custom Edition. 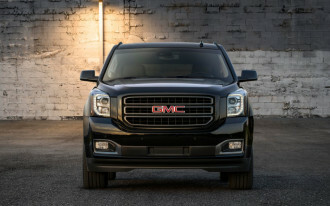 With the 2019 Yukon, buyers have the the option of going with the regular Graphite Edition which features a long list of blacked-out elements or the Graphite Performance Edition with a big underhood boost in addition to the styling bolt-ons. 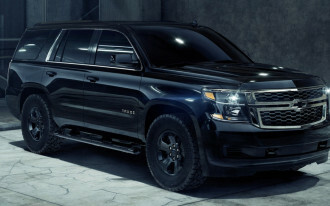 Notable features on the regular Graphite Edition include 22-inch machined alloy wheels with dark metallic pockets, an ominous-looking black chrome grille mesh insert with black fog lamp surrounds, body-color grille surround, black roof rails and gloss black beltline moldings. The Graphite Performance Edition also gets a beefier 6.2 liter V-8 and custom-tuned magnetic ride suspension. 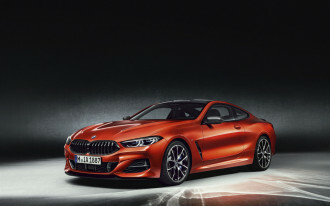 Along with the upgraded V-8 and suspension system boost, the Graphite Performance Edition also receives a host of other mechanical upgrades including a 10-speed automatic transmission, active two-speed transfer case for four-wheel-drive models, trailer brake controller, high capacity air cleaner, and a 170-amp alternator. The interior of the Performance Edition gets Bose active noise cancellation, a head-up display, and an 8.0-inch touchscreen with navigation. 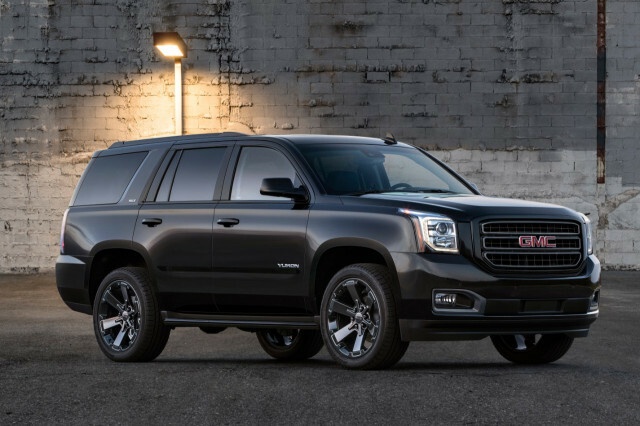 Both packages can be applied to the Yukon’s SLT trim in both rear- and four-wheel-drive configurations. Three exterior colors will be available: Onyx Black, Dark Sky Metallic and, White Frost Tricoat. GMC has yet to announce pricing for the new editions but did say that they will make their way to dealerships this summer.